Use the Margins gallery to quickly set page margins for your document. If none of the preset margins are what you want, choose Custom Margins. 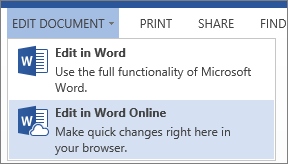 If you’re not already in Edit view, click Edit Document > Edit in Word Online. Click Page Layout > Margins to show the Margins gallery. At the bottom of the gallery, choose Custom Margins. In the Margins box, choose your custom margins. 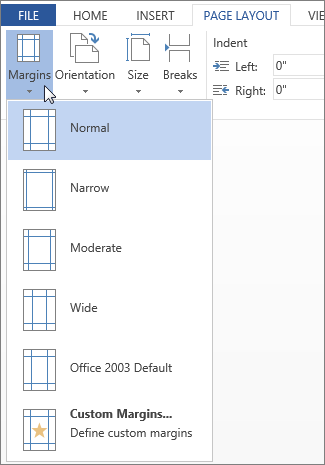 Note: If your document contains multiple sections, the new margin type will only be applied to the current section. Section breaks are added using the Word desktop application. 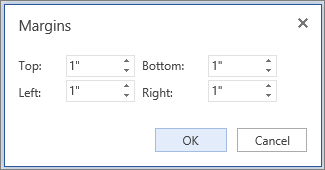 To learn more, see Insert a section break or Add section breaks in Word for Mac 2011.